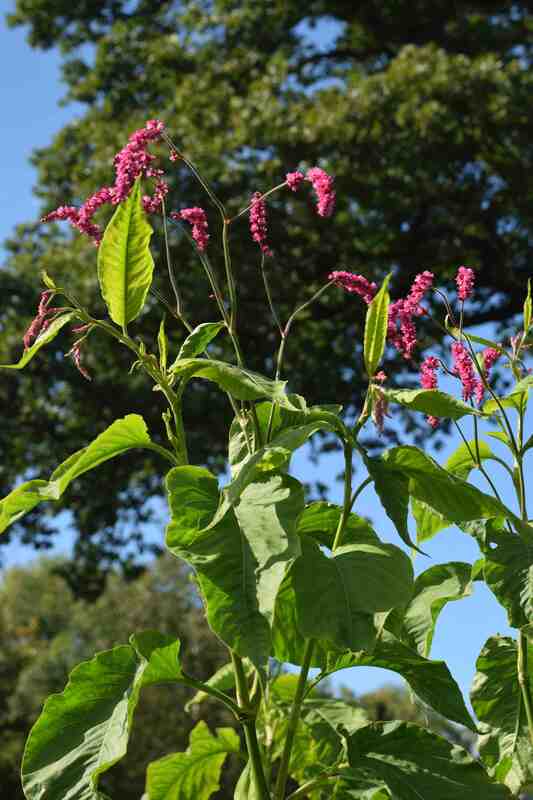 They say good things come to those that wait and, at last, my Persicaria orientalis (kiss-me-over-the-garden-gate to those who know it well) have deigned to bloom. It has been a long time coming. I sowed them in February and because they are supposed to need chilling after sowing to germinate I sowed them and left them in the cold greenhouse for a month before putting them in the heated propagator. germination was a bit erratic but wasn’t a problem. When then transplanted into cell trays they grew rapidly and a few produced upright, miniature spikes of pink flowers within a few months. I was a bit worried by this but after planting out they grew strongly and forgot about flowering – for months! I was astonished by their race for the sky and pleased that they did not get damaged at all by the strong winds that blew down so many other plants in the garden. Even with their large leaves and cane-like growth they have remained undamaged. And then a month ago I saw some buds forming at the top of the plants. Now these are open and making some bright colour at the top of the 2.5m stems. Each plant has one main stem with basal shoots and sideshoots up the stems but, so far, just the main, tallest stems have flowers. I keep looking for signs of flowers lower down but there is nothing yet and this is making me question the value of the plant – there is just to much plant and leaf and not enough flower – at the moment. I desperately want to like this plant because I am starting to fall in love with persicarias but, at this stage, this one just does not quite make the grade. We are having some cold nights but there should be another six weeks before we get a frost so there is still time for this plant to shine but it is cutting it a bit fine! There is also a variegated form that comes true from seed and I think that this one may have better garden value. 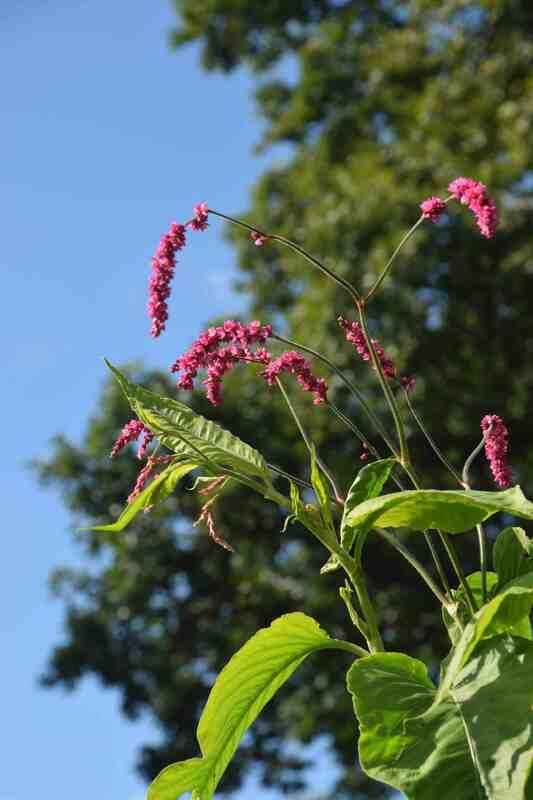 I never knew “Kiss me over the garden gate” was persicaria! After your review I think I’ll stick to my perennial ones! The flower is similar but it flowers for ages. You seem to have gone through exactly the same learning curve as me on this one. I decided that I might grow it again, but I’ll place them more cleverly.